For several years, two D.C. artists have received a lot of hype from within the go-go and hip-hop communities about their path to the "next level" of national exposure. Mambo Sauce may be the most creative band to emerge from the D.C. go-go scene in the past decade or so. The band rejected the typical path to local success by refusing weekly gigs at go-go venues, searching for alternative audiences and places to play, and most importantly -- by refusing to play covers in favor of all original music. Wale has been called the next big thing in the hip-hop world so many times it's become a cliche. He built his reputation around the D.C. area with mixtapes that often featured sample from legendary local bands like Northeast Groovers and Backyard Band. 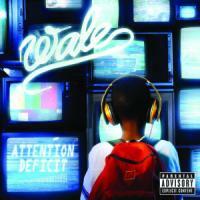 The Debut for Interscope features all new material and Wale is in fine form with the kind of pop-culture referencing rhymes his fans have come to expect. Wale constantly reminds us he's from D.C on the record and the city's signature go-go sounded is represented by a sample of a classic Backyard hook on "Pretty Girls." It's Backyard vocalist Weensey that carries the song. But when Wale and guest Gucci Mane take over, it kinda feels like just another rap song. And unfortunately, most of the album has that same not-quite-great feel (the cost of major label production?). Lady Gaga shows up on "Chillin'." The Cool and Dre-produced song is catchy, but enough with the female-sung chorus followed by rap verses. Canadian-Somalian rapper K'naan shows up on "T.V. in the Radio," the song is driven by a herky synth-horn driven beat from producer David Sitek (whose rock band is TV on the Radio"). "90210," produced by long-time Wale advocate Mark Ronson (Amy Winehouse) and tells the story of the pitfalls on a girl's quest for fame and the Hollywood-lifestyle ("regular girl, celebrity dreams"). The Neptunes also show up on "Let it Loose". Wale's at his best when telling his own personal stories like the discussion of skin tone and growing up dark on "Shades," which also features fantastic background vocals from Chrisette Michelle. All the talk about Wale breaking out when he finally got his major label debut, gave this album a bit of a trying to please everyone vibe. But the rapper's talent is undeniable and an enjoyable listen even if it probably won't turn Wale into the worldwide bestselling hip-hop superstar so many think he should be. It would have been nice if Wale's major label debut had included some of his earlier songs that hit in D.C. including "Dig-Dug" and "Nike Boots." Thankfully, the first album from Mambo Sauce includes their two songs that had made an impact on D.C. radio: "Miracles" and "Welcome to D.C." The album didn't come out quickly enough to capitalize on the success of the inspirational "Miracles" or "Welcome to D.C.," which became a legitimate city anthem with a ferocious go-go beat and synth-driven hook. The rest of the album features the songs that the band has been playing live for the past couple years. Mambo Sauce emphasizes songcraft on top of go-go beats. Most of the album strays in varying degrees from a classic go-go sounds. "No Sleep" features rapper Black Boo and female vocalist J.C. Carter exchanging fast rhymes about working for the band's quest for the top. The song is driven by frenetic work on the timbales from percussionist Lil Pep and rock guitar . 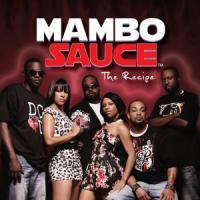 The key to Mambo Sauce's success is Black Boo's personality on top of top-rate musicianship. Like many of the older go-go bands (Chuck Brown, Rare Essence, E.U.) they're capable of tackling multiple genres of music within the go-go framework. Male and female vocalists both rap and sing well, frequently trading verses. "Work" may be the best example, a story about a man and woman attracted to each other but looking for different things in a relationship. "Long Time Coming" is a slow rock song about struggling and moving on in life. "Things Will Get Better" is slow melodic R&B that features a guest vocal spot from DeAngelo Redman. "Getaway" is a pared down showcase for Carter's vocals. "Sweet Babe" is a tribute to women set to a slow conga beat. On the strength of the songwriting, Mambo Sauce does have a chance to break out and become national artists. But the music industry, is tough. If Mambo Sauce and Wale remains stars only in the D.C. area, at least the music they produced made the quest for greater success worthwhile.